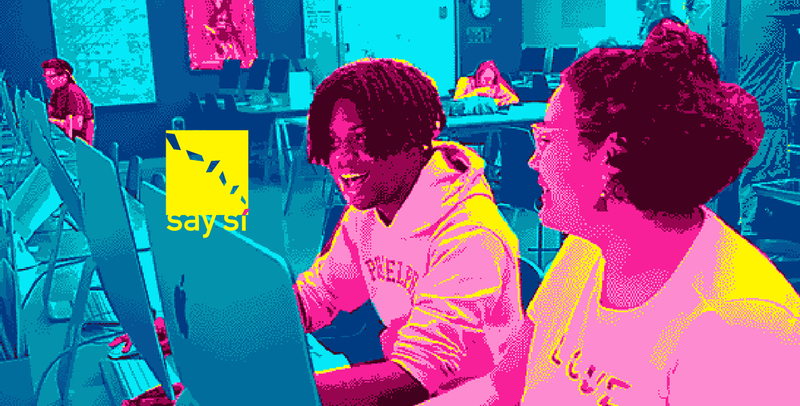 SAY Sí is a non-profit creative youth development program on the south side of San Antonio which ignites the creative power of young people as forces of positive change. We value artists, empower marginalized communities and advance culture. In the HIVE studio students tell stories native to the digital realm and make things at intersections of art and technology. The HIVE challenges youth to think about interactivity, to analyze art and new media and to understand how to assemble systems to say something with them. These games are made by teen artists in the program.